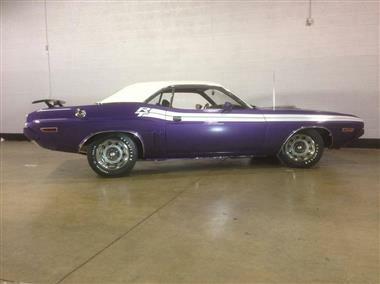 1971 Dodge Challenger (IL) - $134,900Exterior Plum Crazy Purple Interior Black Transmission 4 speed manualEngine 440 CiDMileage 30,195Fully Documented Super Rare Mr. Norm&#39;s 1971 Challenger RT 440, Six Pack, Shaker Hood, Rubber Bumpers, Super Track Pak Dana 410, 4 Speed in Plum Crazy, one of the Most Desirable High Impact colors! Extremely low production numbers. 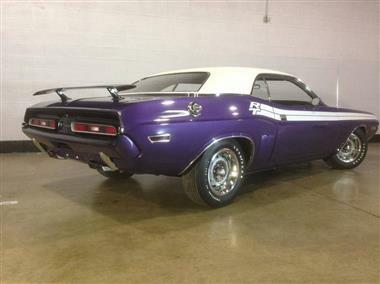 This car is 1 of 129 4 Speed cars and 1 of 250 total 440 RT&#39;s built in 1971. 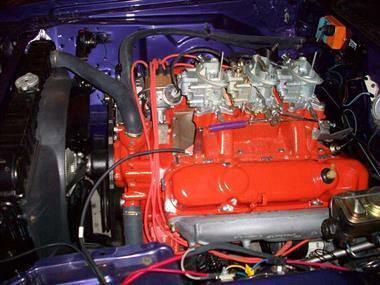 The 1970 RT&#39;s were Quite Plentiful with over 2000 units built. 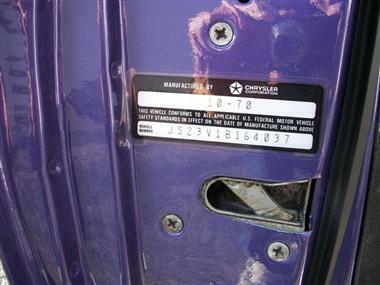 You Mopar guys know the Numbers!This car is Bulletproof with it&#39;s History and Documentation. It doesn&#39;t get any Better in the Collector World!!! 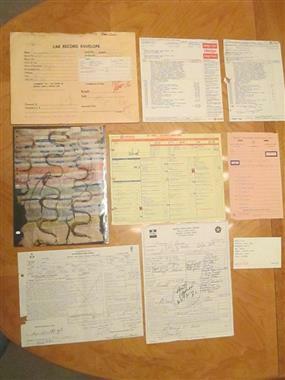 -Complete Dealer File from Mr. Norm&#39;s Grand Spaulding Dodge in Chicago consisting ofOriginal Broadcast SheetBuild Sheet, Widow Sticker, Order Sheet from dated July 6, 1970 the day she was ordered, Bill of Sale dated April 16, 1971 when it was sold to Mr. Lewis in Chicago, Original Shipping Invoice dated 9-20-1970 and other important dealer documents from the day it was ordered to the day it was delivered to Mr. Lewis. Please understand the Importance of these documents. 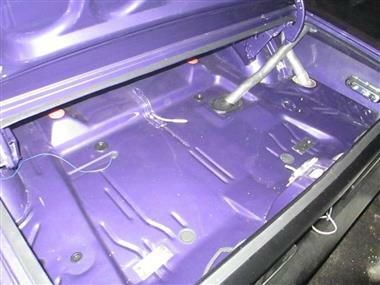 There is a gentleman selling these Original Mr. Norm&#39;s files for $25,000 if you are Lucky enough to own a True Mr. Norm&#39;s car!Mr. Norm Really Loaded his 440 Six Pack Cars Up with Lots of Cool Options-440 CID engineSix Pack 3x2 CarbsFactory Shaker HoodFactory Elastomeric Rubber BumpersSuper Track Pak Dana 410 Rear EndFactory Rear Wing &amp; Front Chin SpoilerHigh Impact Plum Crazy Paint ColorDual Color Keyed Racing MirrorsPistol Grip 4 SpeedHood Tie Down PinsE60-15 Raised White Letter Tires15 Rally WheelsFactory ConsoleLocking Gas Cap and Lots More...1 of 250 RT 440 V Codes built and 1 of 129 Pistol Grip 4 Speeds made in 1971Unfortunately the original engine and trans were replaced many years ago and long gone. 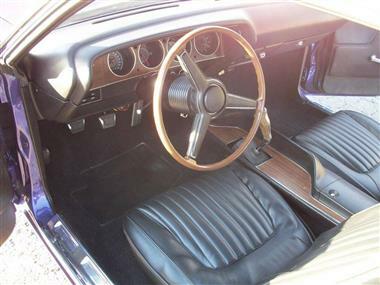 This car was never a rust bucket and was in Great solid condition before the restoration unlike many other cars! 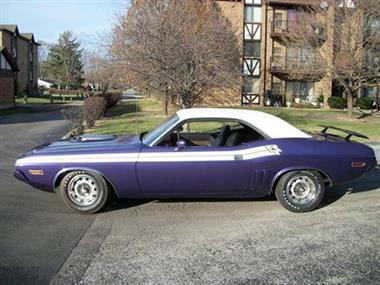 You will be Hard Pressed to find another Mr. Norm&#39;s Fully documented 71 4406 Shaker like this EVER!!! 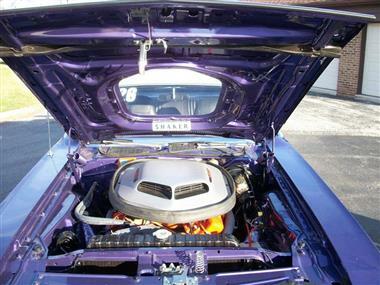 She has never been fired up since the restoration. 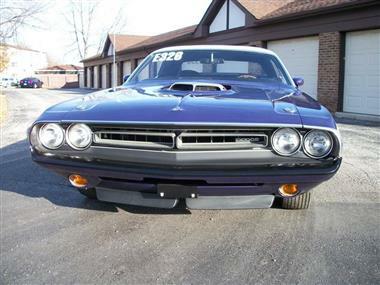 Come inspect this Beaurty.I have a Photobucket of 150 Detailed pictures available.This vehicle is located in Frankfort IL 60423Please call Terry @ 708845-1441 to see this Challenger.